Katie thrives on making an impact and achieving big goals. She believes that communication strategy has a major impact on business success. As a strategic communicator with a diverse background in non-profit, B2B, healthcare, and SaaS, Katie combines her expertise in strategy development, marketing and sales to spread the word about how Covisum can help advisors and institutions inform their clients of the best financial decisions. Covisum recently hosted an employee celebration event to mark the successful launch of Income InSight®. This new financial planning platform deeply integrates with multiple tools to provide a clear view of retirement for clients. At the event, Founder and President, Joe Elsasser, CFP® presented the first-annual Covisum President’s Awards. For most of us at Covisum, we've never seen devastation from floods like we're seeing right now. In my lifetime, my basement has flooded a time or two. It's probably happened to each of the Nebraska natives who work here. I've had a swampy back yard countless times. Flash flood warnings from The Weather Channel are a norm for us in the spring. But this year is different. In a recent guest post for Michael Kitces' blog, Nerd's Eye View, Covisum's Director of Sales and Marketing, Katie Godbout, offered an in-depth look at crafting and using a client persona to generate leads. Call us a SaaS company, a fintech leader or a software company, but we believe we are more than that. 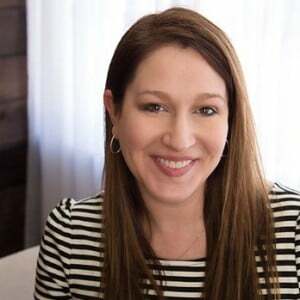 Recently, we sat down with Katie Godbout, our director of sales and marketing, and asked a few questions about Covisum. How do you say Covisum anyway? Will Siri Take Your Job? Technology is advancing faster than ever before. Who knew that dial-up internet would morph into voice assistants like Siri and Alexa? For financial advisors, this breakneck pace makes you wonder: is a nameless robo-advisor after my clients, or are clients just going to start asking Siri for financial advice? Is your business thriving? The 2018 FA Insight Study recently published by TD Ameritrade Institutional states that firms with a specific target market are achieving greater rates of growth and profitability than their peers — the median operating profit margin was 18% greater and the median annual client growth was 35% greater. Are you attracting the right prospects and enchanting them by meeting their every expectation? Everyone in the financial services industry is talking about how the changes to the tax law will impact clients, and the most prepared advisors will be able to capitalize on this enormous opportunity. With Tax Clarity®, you can provide tax alpha and quickly identify sub-optimal situations, showing clients how to make retirement decisions in the most tax-efficient way.